Coca-Cola is Warren Buffett’s “forever stock”. 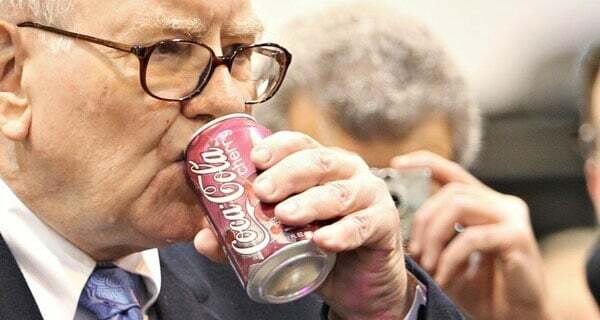 The legendary investor, who claims to drink at least five Cokes and Cherry Cokes every day (three during the day and two at night), started buying Coca-Cola in 1988 and has never sold a single share. Worth nearly $18bn, Coca-Cola is Berkshire Hathaway’s third-largest stock holding after Wells Fargo and Kraft Heinz. Asked once to defend his company’s investment in Coca-Cola amid sugar’s increasingly villainous rep, Buffet used his own diet to justify the investment. “There’s no evidence that I will any better reach 100 if I had lived on broccoli and water,” he said, joking it was likely that his body was one-quarter Coke. Buy-and-hold evangelists will tell you not to give too much consideration to an occasional setback or the quotidian ebb and flow of stock — because stable dividend payers with strong operations will weather anything the market throws their way. Even a renaissance, of sorts. Coca-Cola’s MO is to grow beyond its namesake brand and become a total beverage company (cue dramatic soundtrack). This is in response to the war on sugar. The push to diversify and offset the decline of soda sales with products like water, coffee and tea is (slowly) working. As in the third quarter of last year where profit topped projections (as did sales), fourth-quarter figures beat estimates and show broad-based growth. It ’s been bumpy going for Coca-Cola. Not only has it had to contend with structural change in the soft drinks industry where consumers have shifted tastes and governments are implementing sugar taxes, but in spinning off company-owned bottlers the group is undergoing its biggest strategic change in decades. By its very nature, distribution is a capital-intensive and low-margin business, so by restructuring and consolidating most of its bottling operations, Coca-Cola then just manufactures concentrates, beverage bases and syrups which are sold to bottling partners, who then add water, carbonation and packaging to turn it into a consumer product that is distributed. So Coca-Cola becomes a marketing and drink-formulation company — rather than a bottler. It is important to make this point: the move to streamline and take capital-intensive factories, warehouses and trucks off its balance sheet was essentially made to avoid becoming an acquisition target. Some years back (way before its $800m/year cost saving target and well, SABMiller), AB In-Bev was circling. Ditching the cumbrous model of owning bottling plants and handling distribution is a way to make sure it has no fat to trim. Three things that stood out in Coca-Cola’s latest update: volume growth is still flat … but it’s doing a good job of selling smaller cans and bottles at higher prices (the company is even taking this concept to emerging markets). Oh, and Diet Coke (in the US) got a major makeover — four new flavours in taller, skinnier cans.